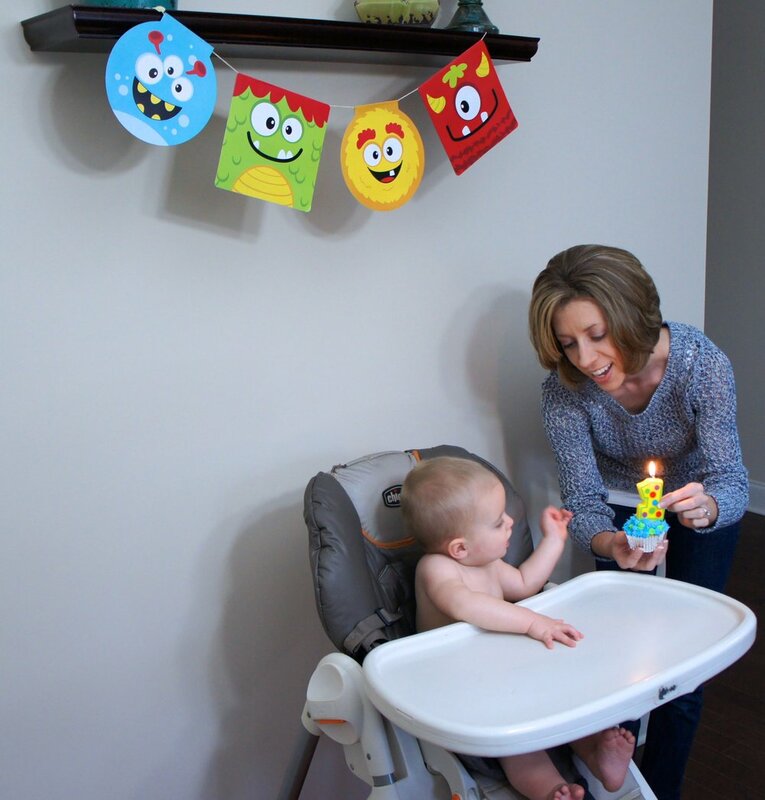 It's so much fun to celebrate your little one turning another year old, but sometimes in all of the excitement we can go overboard on the spending. I'm going to share a few tricks I have learned to try to keep my kids' birthday parties on a low budget. 1. Plan a special trip instead of a party-We don't have a big birthday party every year. We do a 1st birthday party, but the other years we typically take our kids to a special place, out to eat, and have a cake of their choosing. For example, last year we celebrated my 2 year old's birthday by going to a pumpkin patch/petting zoo, having a picnic in the back of the car, and then we had ice cream cake that evening. He loved that the whole day was focused on him--doing things he loved! This typically saves money because you only have the costs for your family instead of everyone you would invite to a party. This year, we asked our soon to be five year old if he would like a birthday party at home or to go somewhere special for his birthday, and he picked to go somewhere special. He told us where he wants to go for his 5th birthday and where he wants to go for his 6th birthday :). 2. Time of Day-The time of day is something to factor into your birthday budget because if you plan a birthday around a meal time then your costs are going to go up because you will need to feed your guests an actual meal instead of just snack food. 3. Guests-To help keep your budget on the low end, minimize your guest list. We try to just invite family and extremely close friends.. Less guests means less mouths to feed, which means lower costs. And let's be honest, your kids don't really have a ton friends to invite to their birthday party when they're 1, 2, or 3. 4. Decorations-You don't need a ton of extravagant decorations to get the theme of the birthday party to shine. 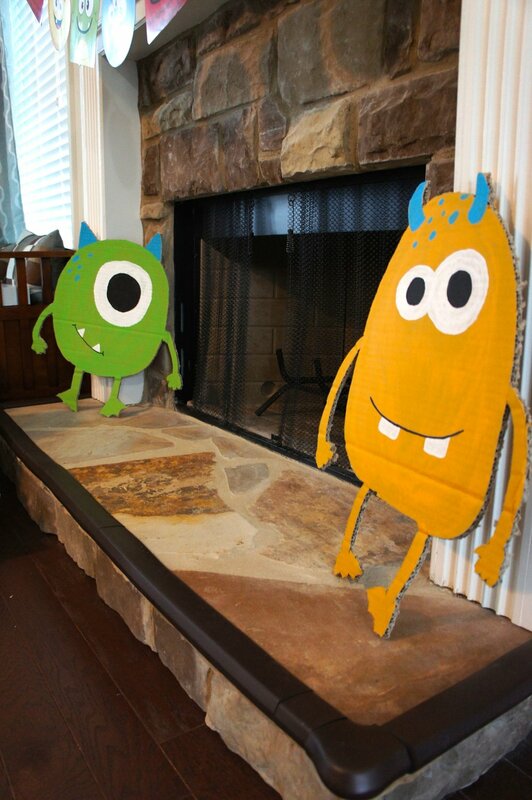 Another great tip to keeping costs low is to make your own decorations. 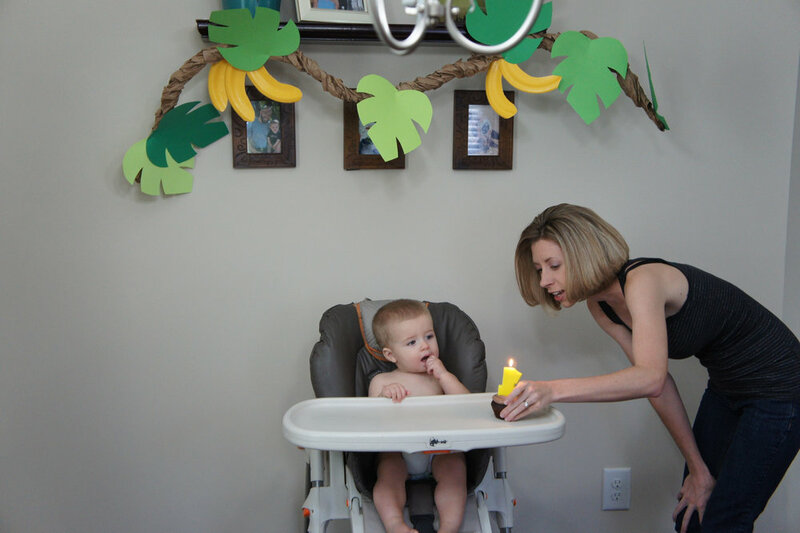 I made most of the decorations for my kids' birthdays--simple things like painted ice cream cone cut-outs, or cut green palm leaves, made vines, and cut out bananas. You can find a lot of cute ideas on Pinterest for decorations, and sometimes they even have free printables. The dollar store is a great place to shop for decoration supplies. There were some decorations that were too difficult or time consuming to make so I did buy them, but the more you can make the lower your costs. 5. Place-It's always cheaper to have the birthday party at your house than somewhere else. Some neighborhoods have a clubhouse that you can reserve for an event at no extra cost, so if you have that option available you could do that as well. 6. Food-This category relates to the time of day you are having the party. Try to schedule the party away from meal times to help keep costs down. If you can do that, then you can have snack like foods at the birthday party. And it's almost always cheaper to make your own food then to cater or buy party platters. You can even prepare a lot of the food a day or two ahead of the party so that you are not stressed trying to prepare everything the day of. For example, I made sausage balls a few days before one birthday, froze them, defrosted them the morning of the party and they were still delicious! For my daughter's birthday party, the only time that worked in our schedule for a party was during lunch time so we had lunch for all of our guests. I checked party platter deals at local restaurants and grocery stores. I also checked weekly grocery store ads to see what items were on sale before I planned a menu. Since my daughter's birthday is around the 4th of July, cookout essentials were going on sale the week before the party. I stocked up on hotdogs and buns during that time and froze them until party time. So just make sure you check grocery ads before you set a menu to help lower your birthday party costs. 7. Cake-To save money I try to always make my kids' birthday cakes. I know this isn't for everyone, but if you can I do suggest doing this to help keep costs low. Cupcakes are typically a pretty easy thing to make, so you could even make cupcakes and buy/make a fun cupcake topper. 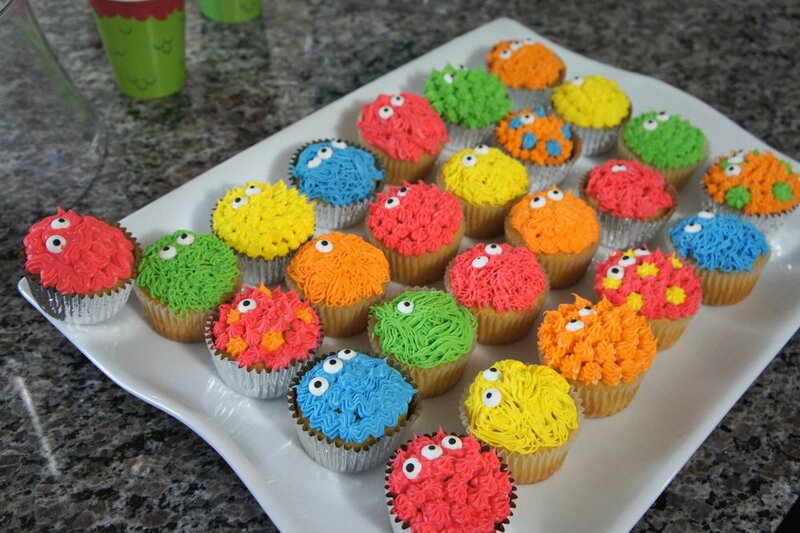 Instead of having a smash cake for any of my kids' 1st birthday I would make a cupcake for them to smash. This saves money and food because most one year olds don't care for the smash cake. 8. Invitations-I learned for my second son's 1st birthday about a site called PunchBowl where you can create birthday card invitations and email them to your guests for free! It's a great way to save money and trees. They have templates you can use, or if you would like you can order a jpg from Etsy and upload it to a custom template. Either way is still cheaper than creating custom invitations and mailing them out. PunchBowl also allows you to track who is attending and who isn't able to attend the party. And after the party you can send out thank you cards from PunchBowl, as well.